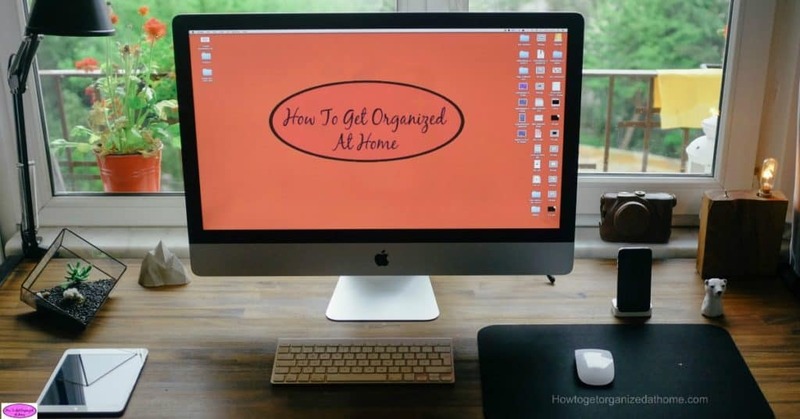 If you need help with desktop organization, you are either looking to organize your computer or your home office desk! I can help you with both of those annoying areas! Don’t let clutter stop you finding the things that you need, or taking up time looking for an item that you need and you just can’t find, either because of the piles of paper on your desk or a horrid mess on your computer desktop! Getting these areas under control is not always easy, but it is certainly worth the time to get it right and maintain the system that you choose! Let’s start with your office desk, are there piles of paper scattered around, notes littering the area too, with various tasks that you need to complete? If this sounds familiar, don’t panic, life can take over and my desk sometimes gets like this! I do notice that if my desk is chaotic, I get less completed as I spend more time looking for the things that I need! Stop, you can’t go forward with a messy desk and the best action plan is to spend some time now sorting it out! 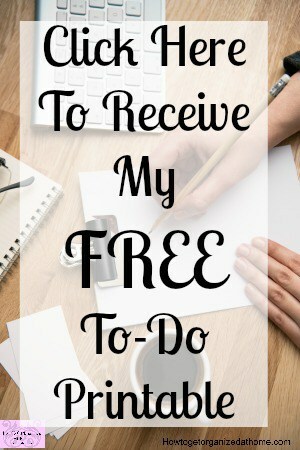 Put things away that have been left out on your desk! I always find that my desk accumulates items, not necessarily what I have used, but what I end up putting away! Paperwork, you know the deal, post, notes from school can all land on your desk! Add to that if you work from home too! The idea is to sort it and put it away. This might take longer than you expected if the pile is high! Take it in chunks of paperwork at a time, it might take a few days if you only have a few minutes each day! Clear spaces, I have my waste bin on top of my printer at the moment, we are having an issue with one of the dogs, and this stops me putting the paperwork on there, so while it is odd it is a great deterrent for paper piling up there! I find that I need systems in place to control my desktop! I need rules that I follow, it might seem an odd way to explain it but it works! Only have out on your desk what you are currently working on, everything else needs putting away! This sounds easy in theory, but in practice, it does take some training and even then it is easy to slip back into old habits! You need to find a system that works for you, I have slip files that I can put items in and then file this in my desk. However, it is easy to forget something or miss an important letter! Which is why I find it important to make notes in my diary of important dates or items that I need to address, this ensures that things are never forgotten! The right amount of storage for your desk will depend on your current needs. I would ideally like to have nothing on my desk, however, as I work from home, there is always something I am working on! If you are looking for pen storage, you want something simple and easy to use! Keeping paper together is a must, and if you need to find a way to storing this on your desk you will need a paper tray! If you don’t have any file storage, it might be time to invest in a way to store any files that you have! Is this full of files, things that you might want or need? Can you see what is there or is it a complete jumble? I like to keep things together, that way it allows me to quickly find files that I need. How you group them will be completely up to you, but think of a system that you will remember. You can easily make a wallpaper for your desktop that has areas you can use to place different items in, this makes it easier to use if you have set headings for the different areas! I found some great instructions here on personalizing your computer screen. Ideally, you should not keep things on your desktop, it can slow down your machine, think of alternatives to storing all your information on your desktop. There are cloud options which are great and means the information is available anywhere where you have access to the internet. Keep on top of your download file, this is something that I try to look at once a week, I want to make sure that I delete items that I no longer need and store items I do want in a better place than the download file! I have this in my diary and after I have completed it, I write it down as a task to do the following week! What is your best tip for organizing your desktop? Comment below! Therefore, if you need help with organizing your desktop, whether it is your desk or your computer desktop, there are solutions for both options. Don’t think you can get more done working in chaos, it just adds to the stress and the time it will take getting a task complete! Stop and assess the situation, find ways that will help you and remember the paper won’t jump in the file on its own, you have to maintain the system for it to continue to work! Looking for more articles on organizing? 12 Office Organization Tips You Need To Try is a great place to start! Thank you for the tip. I will surely de-clutter my desk and try to organize them again so that I can easily see my stuff and papers.